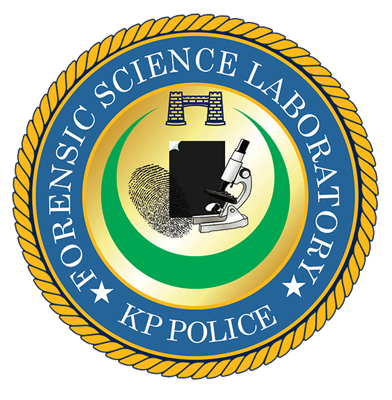 Forensic Science Laboratory was established in 1976 to provide Forensic Science assistance to Law Enforcement Agencies in investigation of Criminal as well as civil cases through scientific based opinion/reports. FSL plays a pivotal role in the investigation of cases. The material evidence collected by the police/I.O’s either from the spot or recovered at some later stage during the course of investigation is sent to the FSL for the expert opinion which is furnished after Forensic Analytical of the exhibits. The yearly workload of the labs is around fifty thousand cases/reports. Despite meager recourses and shortages of experts, all cases are timely disposed off. Record pertaining to 2016-17 has been computerized through Laboratory Information Management System (LIMS) showing date of FIR, date of submission of exhibits by the I.O’s and dispatch of the report to ensure transparency and avoid inordinate delay in submission of report to the worthy courts. Due to technological advances and introduction of new Forensic techniques/examination, there was a dire need to revamp our existing Forensic labs, bring in latest equipment (as much as possible) and improve the quality of our experts. The worthy Inspector General of Police Mr. Salahuddin Mehsud approved the up gradation/ revamping plan which includes refurbishment/extension of the existing labs on modern lines, introducing good lab practices/SOPs, induction of qualified experts and advance trainings of the existing experts. A dedicated Web page of the lab has been designed containing information about the lab and available testing facilities/discipline, procedures/requirements for packing of evidence, chain of custody of the exhibits and online information about status of the Forensic reports. This will ensure transparency and enhance confidence of the judiciary & Law enforcement Agencies in the labs and procedures adopted. The FSL KP is credible in the eyes of international donors like Bureau of International Narcotics & Law Enforcement Affairs (INL), Australian Federal Police (AFP), Department of International Development (DFID) and UNDP, who have been extending continuous support/assistance. The present revamping/ up gradation plan would not have been possible without the generous support/assistance of DFID. This will go along in enhancing the capacity/quality of the Forensic Services at FSL.